Most professionals think they network well. In reality, they don’t. Many people scare away valuable prospects and business associates because their style of networking is arrogant and self-centered. 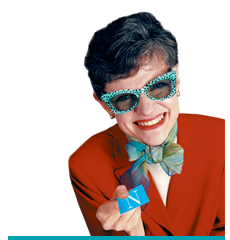 Christine Zust introduces you to her networking nemesis and alter-ego "Natalie Networker," who shows participants by example how not to act when networking! Christine’s hilarious examples as "Natalie" leave a powerful, lasting message, while showing participants the right way to savvy networking success.